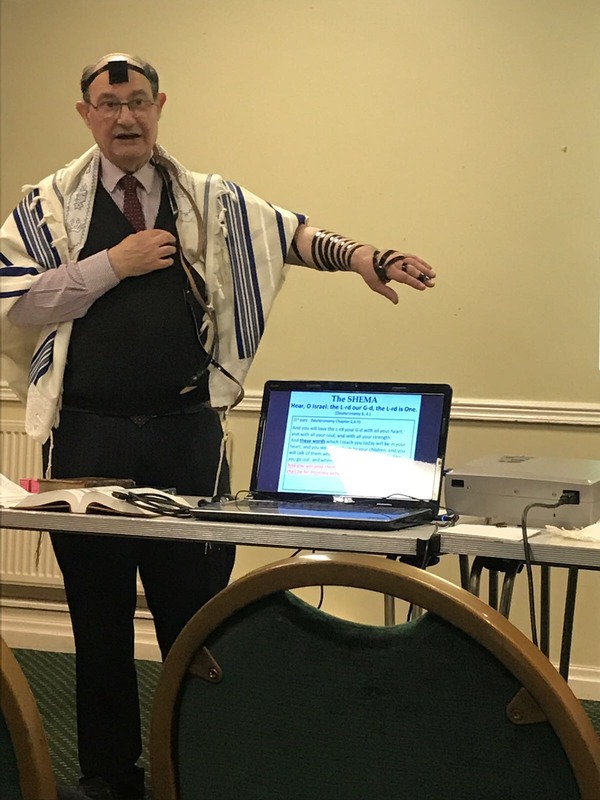 David Arnold explaining the tallit and tefillin, used during prayer service. On 20th March, Year 2 students enjoyed a visit to the Manchester Synagogue and Schul, led by David Arnold. The visit was part of the fieldwork for the module on Judaism. 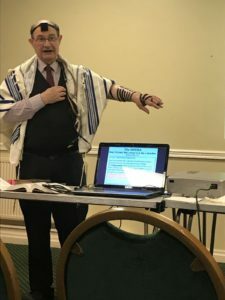 David Arnold is an ambassador for the Jewish community, working with schools and universities. During the morning, David gave a talk on the Jewish ‘way of life’, explaining how being Jewish is more than religion. Lunch was enjoyed at a local kosher restaurant, and students visited the local Jewish bookstore. The afternoon session with David offered plenty of opportunity for questions before heading home to complete their assignments! 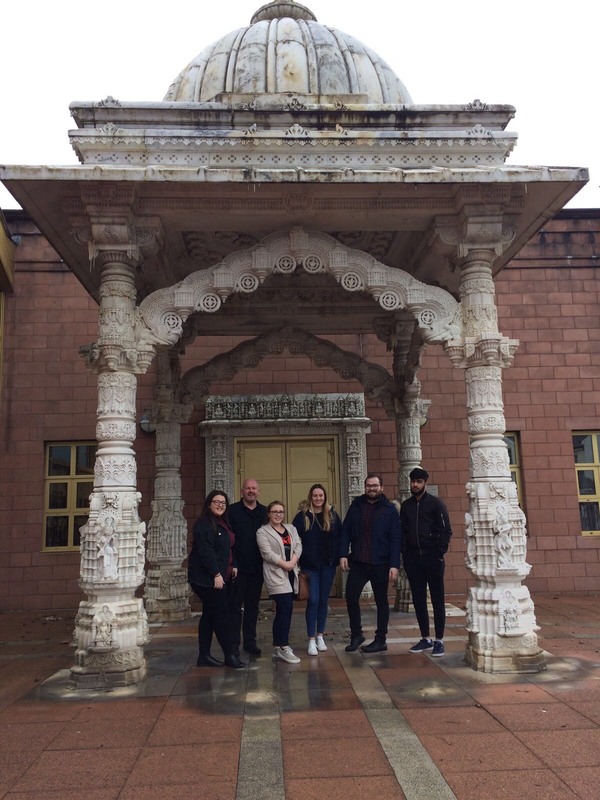 After successfully completing a module on Hindu Dharma, on 12th March, Year 1 students received a warm welcome at the Gujarat Temple in Preston. Students were greeted by receiving a tilaka. 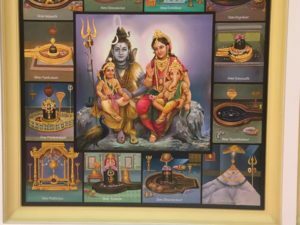 This is part of the Hindu ritual of marking someone’s forehead with a fragrant paste, as a welcome and expression of honour when they arrive. During the guided tour of the temple, students were able to see the visual richness of the dharmic tradition by looking at the statues and images of the Hindu deities, as well as observe puja worship from individuals visiting the temple. Students also experienced a guided meditation, yoga style.